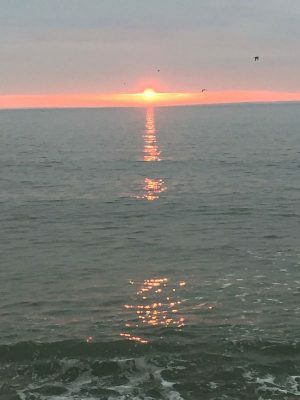 The Lloyd Center’s 30th coastal waterbird season has drawn to a close and what a memorable season it was. Focusing on the beaches owned by the Department of Conservation and Recreation for which the Lloyd Center has worked on throughout this stretch, the season featured 25 pairs distributed between Horseneck Beach (12), Demarest Lloyd State Park (7) and West Island, including Winsegansett Heights, a small site near the island (6). This accounts for just under half the recorded 54 pairs that nested in Bristol County this season. 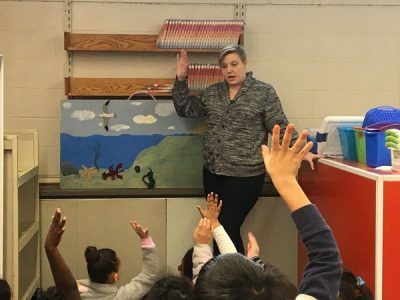 The other pairs were distributed between the site with the most pairs, Mass Audubon’s Allens Pond (18) and smaller town and private beaches in various locations in Dartmouth and Westport, Mass Audubon, and the Rhode Island Nature Conservancy (11). 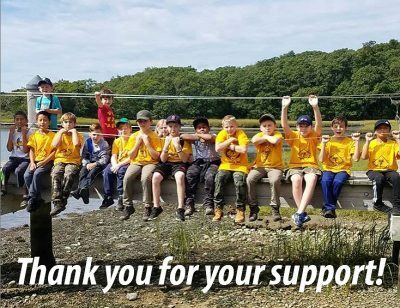 These other sites, for which our partner organizations have the detailed data, did quite well with an overall good season for the Buzzards Bay region. We thank our partner organizations for providing data from these sites annually, thereby keeping current our historical “Bristol County” data. We are pleased to report for our beaches that the anticipated strong finish at Horseneck occurred with the highest fledge total (23) since 1999! 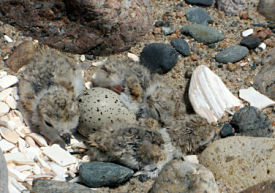 Despite some minor nest losses at the pristine west end of the beach, every hatched chick reached the fledgling stage. A pristine dune system with extensive cover, smaller beach crowds, and close proximity of brood territories to a productive intertidal zone were all contributing factors preventing human harm and predation. 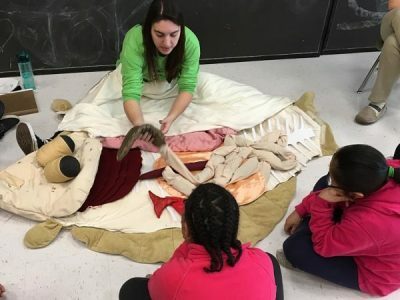 Predator control by United States Department of Agriculture (USDA) personnel (via a Buzzards Bay Oil Spill restoration initiative) also continued to play a positive role. 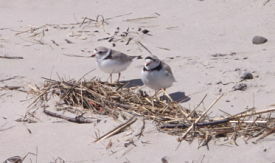 On the main beach, a returning pair that developed an affinity for a particular dune blowout that offers both cover and a lookout again enjoyed partial success, fledging two chicks. Each season, this pair manages to bring the brood across a heavily traveled paved road on busy beach days, where the young hide out from the heat and crowds, and the parents watch over the beach waiting for the crowds to leave and temperatures to drop. They then make way to the intertidal zone, where they can quickly retreat to fencing as needed. We’ve come to expect some hatchling mortality for this brood, as the nest is still in a busy spot, close to human activity and nearby paved areas where hatchlings can roam. Unfortunately, this fate is the likely reason for failure of any chicks from the other main beach nest to fledge, as the brood had no nearby dunes to hide in, and all hatchlings wandered to the open areas near pavement. These open areas offer no cover and hatchlings become weak and disoriented, thereby the chicks finding the secondary dunes may not find their way back to the beach. For the pair that actually nested in a sandy area near pavement beyond the road, a quick (but risky) road crossing leads to the protected east refuge. After spending many days trapped in a paved corner, hatchlings managed to reach the refuge but sadly, only two survived. Whether due to some mysterious predator or the obstacle presented by dense cobble that hinders hatchling movement, many plover chicks vanished from this enigmatic east dune system. This rocky refuge where plover hatchling mortality is high is now all but owned by a Least Tern colony, which while slightly smaller due to a rockier refuge, was again highly productive. The terns are more willing than plovers to nest on the rockier substrate, and hatchlings need not walk across cobble to a food source. Beach goers for many weeks observed adult terns bringing fish to young, which use the dune grass for cover. 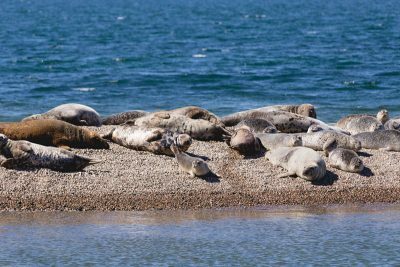 While the rockier refuge reduced the colony size slightly (still 50+ pairs overall), this is only causing the colony to encroach further onto the main public beach! Indeed a small colony formed in the fencing installed for plovers, and chicks readily used wooden pallets and tern shelters (donated by Mass Audubon) for cover. A small forest of beach vegetation filled this small fenced area until mid-August, providing a glimpse of how the beach would look if left pristine. 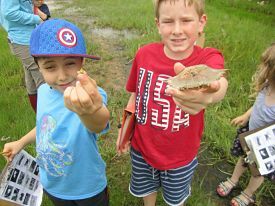 On the smaller sites of Demarest Lloyd and West Island, where beach crowds are minimal but pristine forest is nearby, results were less positive and predators again prevailed. At Demarest Lloyd a slight increase in fledging did occur. Some pairs losing initial nests re-nested closer to the water’s edge where predator density is lower, with these pairs producing fledges. 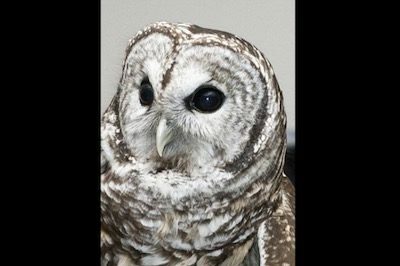 However both nests and hatchlings were being lost with current predators including crow, coyote, grackle, and Great Horned Owl, the owl a new threat detected this season. At West Island (the one site where USDA predator control is yet to occur), crow is by far the premier predator with multiple nests lost to crow this season. As with Demarest Lloyd, a myriad of other predators are also present, but with no one predator known to be targeting plovers. Grackle and possibly coyote also had an impact this season on the island. 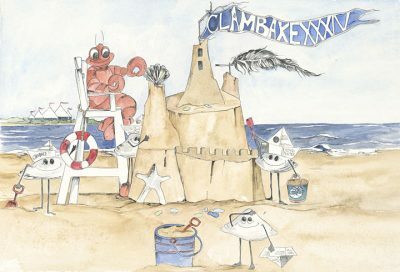 While Horseneck and Demarest Lloyd each hatched an exclosed nest, the two exclosed nests on West Island were abandoned rather quickly. 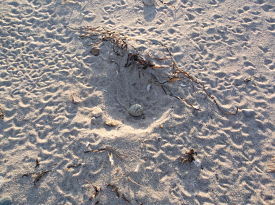 Although control of dogs has improved since the passage of a bylaw, any loose dog is bound to pass plover nests on the thin strip of beach circling the island, and further complicates a pressing predator problem. 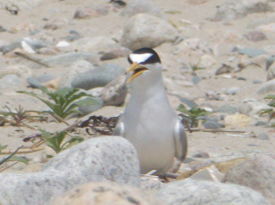 An overwashed nest also occurred on the town beach of West Island, which along with the DCR portion, had no hatching this season. However, activity on Sconticut Neck near the island was good news. The first nest in a decade occurred at Winsegansett Heights resulting in three fledges, and a late nest occurred on the West Island Causeway, it too producing three fledges. This latter nest was almost surely from a pair losing a clutch on the island mainland, while the other nest could be a pair that at some point was considering West Island as a nest site. 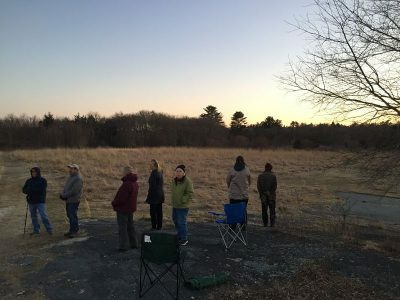 Next season, large beach crowds will return to Horseneck and come face to face with the plovers (and their fencing) that call it their summer home. 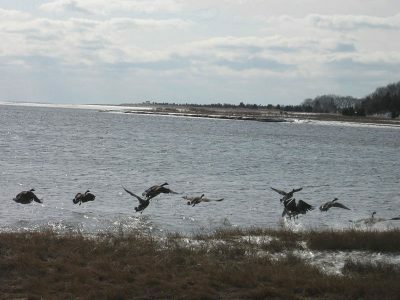 The Demarest Lloyd sand spit may increase in size and shape again (depending largely upon storm activity) and will be quickly occupied by plover pairs and hungry predators emerging from the woodland. And after a tough season, plovers will return to West Island to try again, and surely provide another interesting story. As always, we thank the intern team, which this season featured sisters Haileigh and Nichole Nuttal, who helped make the 30th season an overall success!